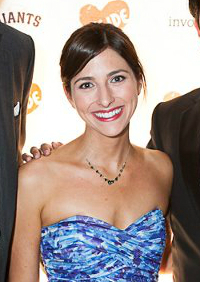 Today’s blog comes to us from Rebecca Sanchez, a member of the GLIDE Legacy Committee, a radically inclusive team comprised of social entrepreneurs who strive to engage, inspire and educate new audiences of young professionals within the San Francisco Bay Area through GLIDE’s mission of unconditional love, compassion and social justice to broaden and deepen community involvement with the organization. A San Francisco transplant by way of Boston, Rebecca is thrilled to give back to her new city as a member of the GLIDE Legacy Committee. She is a strong believer in the power of technology for promoting the accessibility of knowledge, and brings over six years of experience designing educational software. What was your first GLIDE experience? What is your “coming to GLIDE” story? 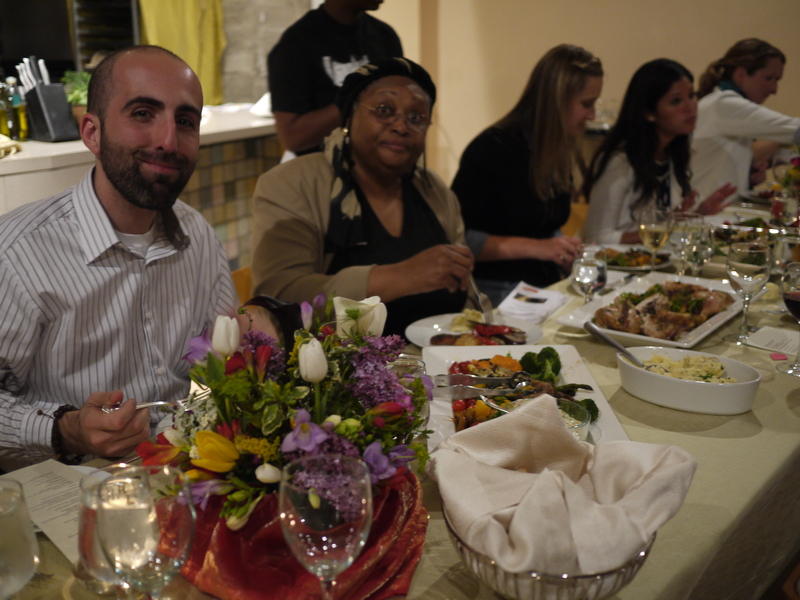 My first GLIDE experience was the Legacy Committee Pop-Up Dinner, an event put on to benefit the GLIDE Women’s Center. The commitment and energy of the group were palpable. It was also my first time meeting Janice and Cecil, and I was just incredibly moved by their work and by the love and ingenuity that they bring to it every day. I was hooked! Following the dinner, I made an effort to come in and serve meals on a regular basis. I eventually decided to take my commitment to the next level by joining the Legacy Committee. Tell us about the GLIDE Legacy Committee’s commitment to social good + community engagement through the Young Professionals Service Day. The mission of the GLIDE Legacy Committee is to broaden and deepen young professionals’ involvement with GLIDE. We put on a number of events throughout the year that help us develop relationships with the next generation of GLIDE supporters. An important factor in cultivating these relationships is sharing our knowledge and experience of what makes GLIDE such an incredible organization. In that vein, the goal of the Young Professionals Day of Service was to give our young professionals a chance to experience firsthand GLIDE’s mission of compassion, care, and unconditional love. Event participants had the opportunity to serve a meal and attend the Sunday Celebration. Everybody in the GLIDE community has a “coming to GLIDE” story, and it was incredible to see our participants’ stories evolve over the course of the day. Following the Sunday Celebration, one participant commented that he was overcome by the magnitude of love and spirit that radiated from the congregation. He said it was rare that he experienced such strong feelings of belonging and acceptance. 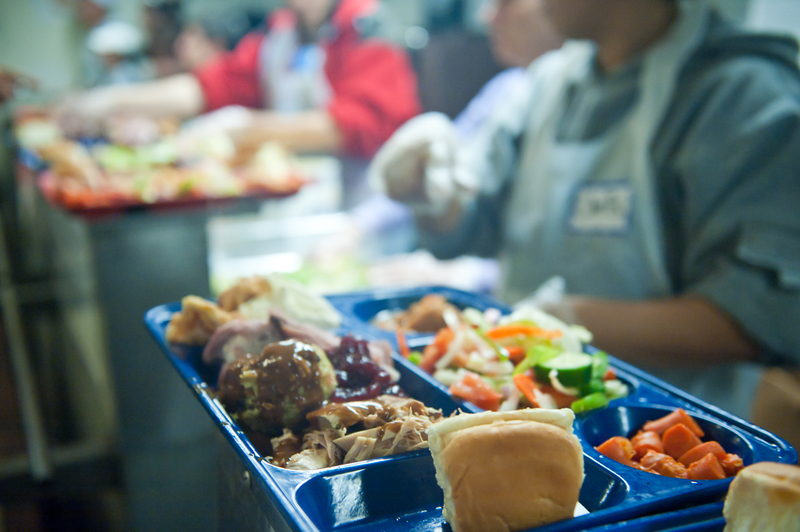 Serving a meal at GLIDE is an experience guaranteed to offer poignant insight into the lives and struggles of the program participants. I observed many of our participants having an “aha” moment when they suddenly gained a deeper understanding and appreciation for just how hard it is to break the cycles of poverty in San Francisco. There are many ways to engage our network of young professionals in GLIDE’s mission. The Young Professionals Day of Service underscored the power of bringing new supporters to GLIDE so that they can take part in GLIDE’s work and truly experience what it means to be a part of the GLIDE community. What is it that you see about GLIDE that is deserving of San Francisco Bay Area’s young professionals community’s time and commitment? What is it about the work of GLIDE that you believe in that causes you to be able to spend as much time and energy that you do for this organization? The levels of poverty and marginalization in San Francisco are absolutely overwhelming. It is impossible to walk through a neighborhood like the Tenderloin without coming face-to-face with violence and suffering. Many of us also experience feelings of guilt; we want to do more to help these populations, but we’re not sure what to do. GLIDE is an organization that knows what to do and knows how to do it right. And I know that I can come to GLIDE and transform my best intentions into actions that will have a real impact on the community. I’m grateful to be able to contribute to an organization where any effort I put in will be directed immediately outwards towards helping others.